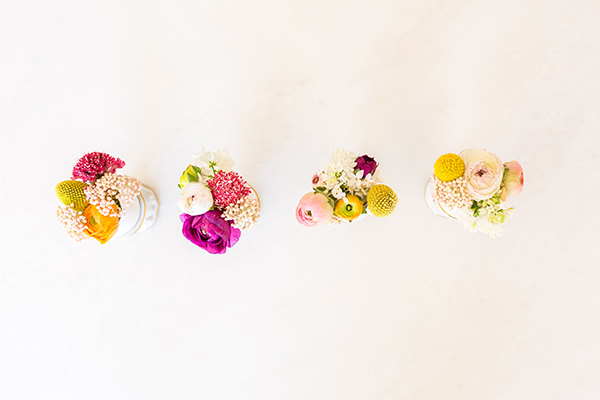 Fresh flowers are our favorite way to decorate for almost any occasion—and Easter is no exception! Instead of dyeing our eggs this year, we decided to empty out our eggshells and turn them into bud vases for mini bouquets. Nothing says springtime like fresh flowers, so it seemed like a very fitting way to decorate for Easter. We love this Easter décor idea for a lot of reasons. For one, it takes a matter of minutes to complete. 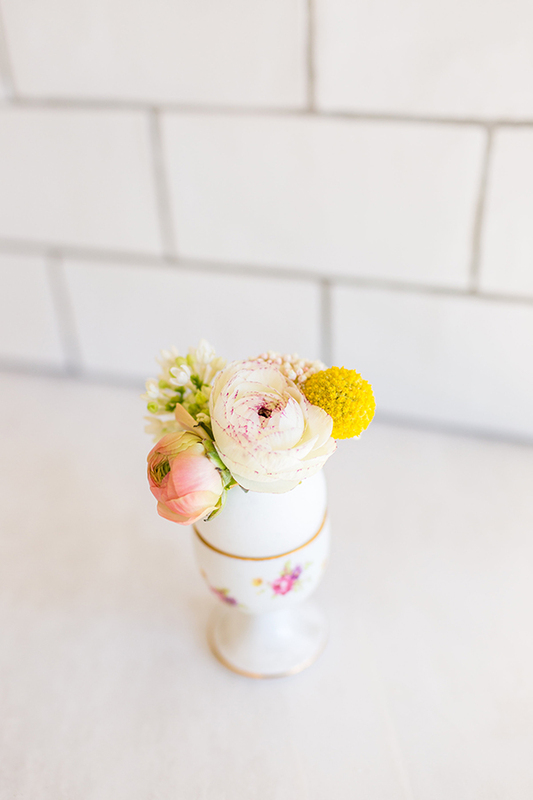 (While our sequin and pressed flower Easter egg DIYs were certainly stunning, applying individual sequins or petals using a toothpick wasn’t exactly quick…) Plus, this DIY also makes for easy cleanup. Since there’s no paint or dye required, there is minimal mess involved. 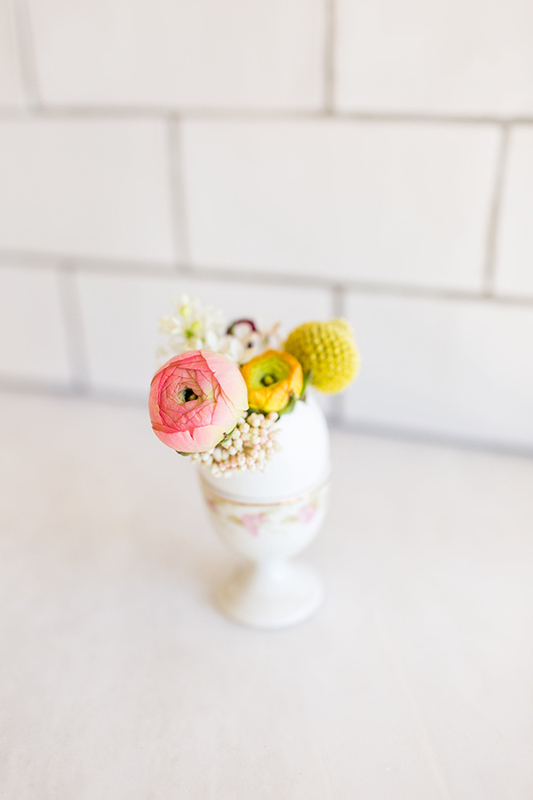 While these Easter eggs aren’t exactly suited for an egg hunt, they would make a beautiful addition to your Easter brunch tablescape. You could line up 15 or 20 eggs across the center of the table for a dramatic centerpiece or place a single egg at each guest’s place setting. 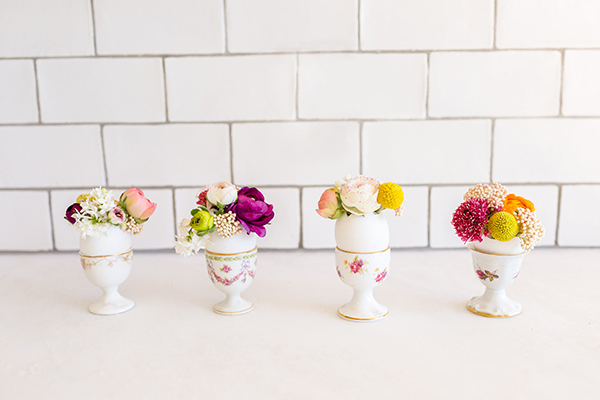 We especially love the idea of scouring the thrift store or flea market for vintage egg cups, and then giving one arrangement to each guest as a favor to take home with them. 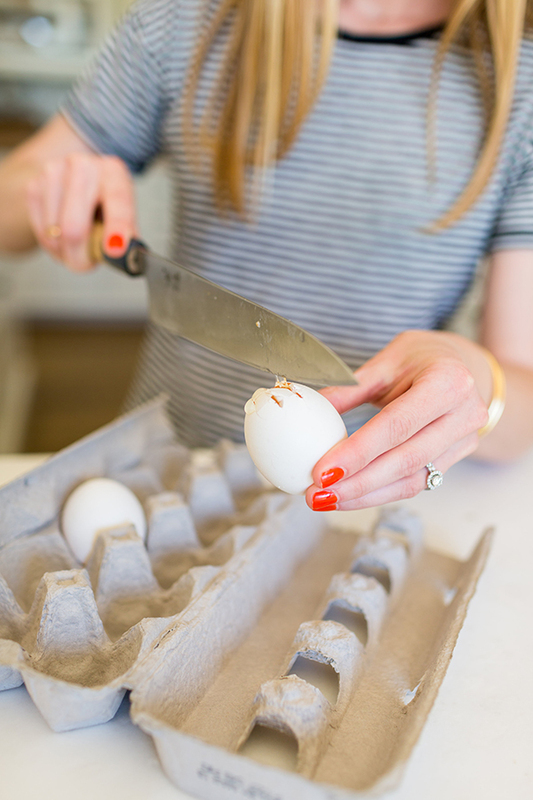 Using a sharp knife, gently crack the top of your egg. 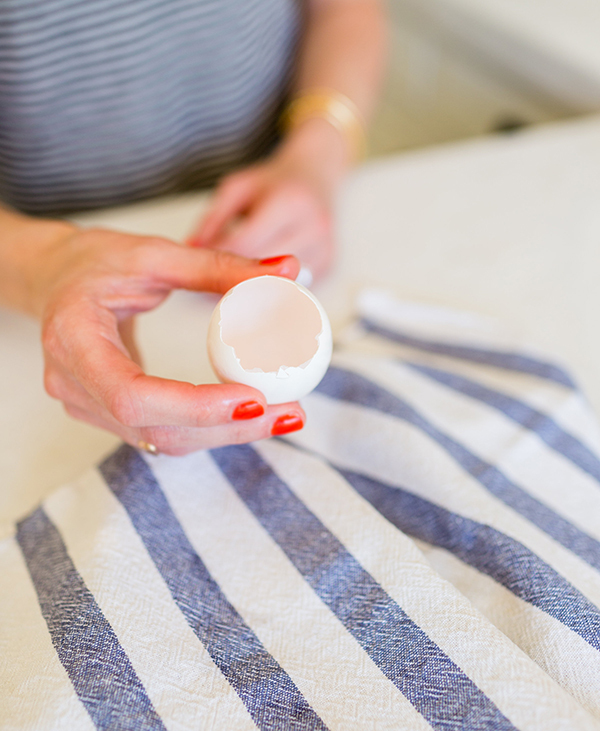 Once you have enough of an opening, use your fingers to peel away a wider opening in your eggshell. 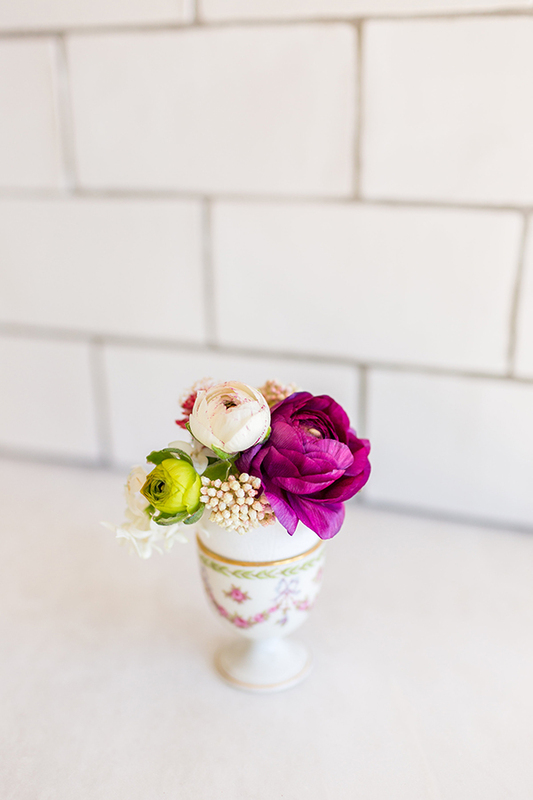 Fill the bottom half of your eggshell with water, and then place your mini flower arrangements inside. Are you going to make these for Easter or another spring gathering? If you post a photo of this project on Instagram, be sure to tag @laurenconrad_com in the photo.